Whether you’re a freeroll hunter or just somebody who loves playing in real money tournaments for free, Carbon Poker is definitely the place to be this month. That’s because Carbon has bolstered their October tournament selection with an extra $35,000 in freerolls! 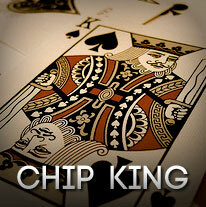 The bulk of this amount is going to be offered through the $25k Chip King promotion, which consists of four huge free tourneys. 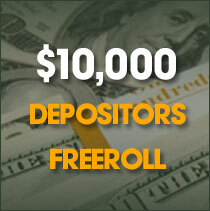 The other $10k is coming through the brand new $10,000 New Depositors Freeroll. Since both of these events are offering a ton of money to players, it’s definitely worth discussing them more. $5,000 Freeroll on October 15th – Earn 50 points between October 1st–13th. $7,500 Freeroll on October 22nd – Earn 50 points between October 1st–20th. $10,000 Freeroll on October 31st – Qualify from October 1st–29th, only top 50 VIP points earners in October receive a ticket. New in October, any new or existing Carbon player who makes a deposit will automatically qualify for a $10k Depositors Freeroll on the second Sunday of the following month. Assuming you make a deposit, be sure to look under the “Tournament” and “Special” tabs in the lobby to register for the freeroll. Also don’t forget that if you’re depositing for the first time at Carbon, doing so through RakeTheRake will get you 35% rakeback and a 150% up to $750 bonus. For anybody reading this that’s already signed up at Carbon, there is a 100% up to $1,000 reload bonus being offered right now. To take advantage of this reward, you need to deposit before October 31st (11:59pm ET) and use the “OCTPK” bonus code. Once you’ve made a deposit, you can start unlocking the bonus in $5 increments.